Having completed Core Cardio & Balance yesterday, I now know there was nothing to fear. The routine is only 37 minutes long, including warm up and stretching. It’s a good deal less intense than the other Insanity workouts I’ve completed so far. This is as it should be, since it’s my RECOVERY week. My only issue is cumulative: after having performed Level 1 Drills at various levels of competence over the past several weeks, my big toes are hurting because I keep jamming them into the floor when jumping back to Plank position, and sometimes when running in Plank. The only criticism I have is that Shaun T is just a little (ok a lot) too touchy-feely with his female cast members. Constantly grabbing, touching & kneading midsections to “demonstrate” that you should “engage” your core. I always expect one of them to just slap him in the face, by “engaging” the palms of their hands. 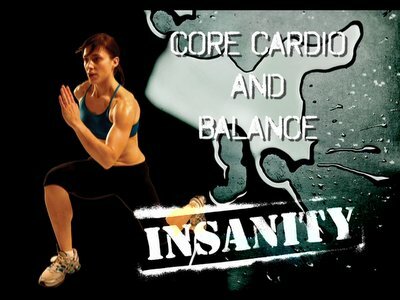 This entry was posted in P90X-Insanity Hybrid, Round 2 and tagged Core Cardio & Balance, P90X-Insanity Hybrid. Bookmark the permalink.